Gouache, or opaque watercolor, is very much like egg tempera in its opacity and creamy, generally high-key colors. I blend it by stroking the boundaries of each color gently with a moist brush. This is the method that Chuck Sovek taught us at Paier. Tempera, on the other hand, requires the artist to mix many different values (light and dark tones of different colors), and layer strokes of these values to look as though the paint blends. 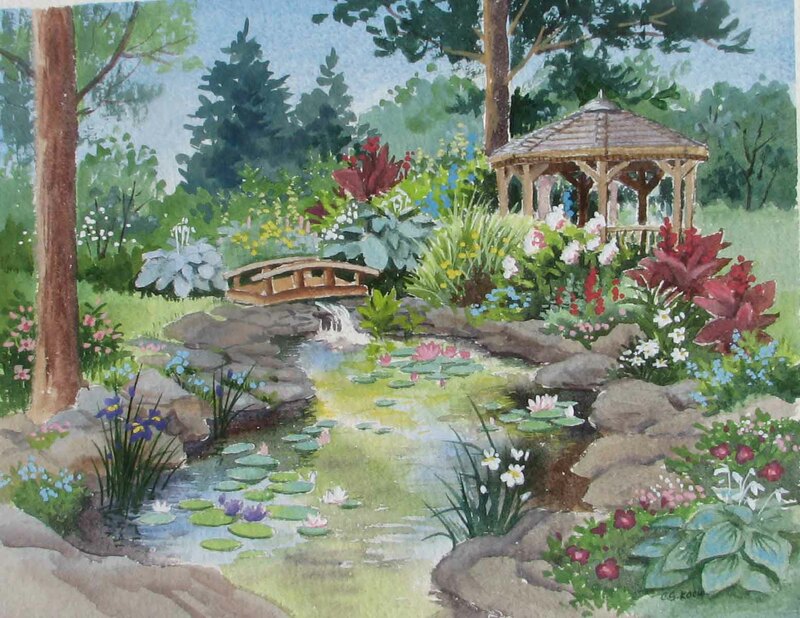 This painting, “George’s Pond,” is done in gouache, and is based on a garden design by my friend, G. Anthony Jones. 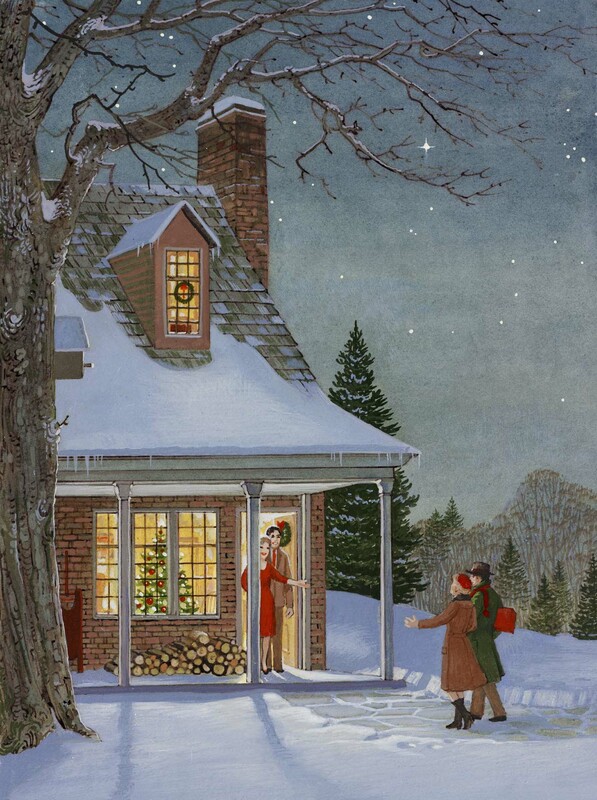 In the following piece, “Holiday Visitors,” my mother used gouache and watercolor in the background,on illustration board. Details are in egg tempera.